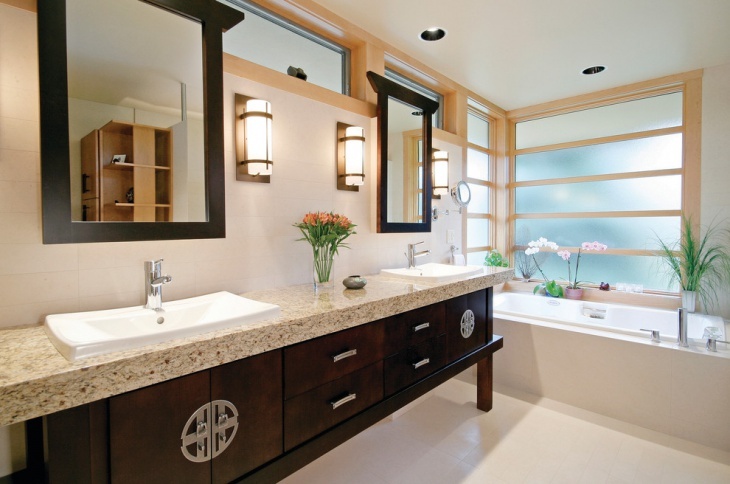 Zen bathroom themes are one of the trending interior décor ideas that have been doing the rounds lately. While designing a Zen bathroom, it is essential that you keep a design that oozes simplicity and is open to allow a nice flow. 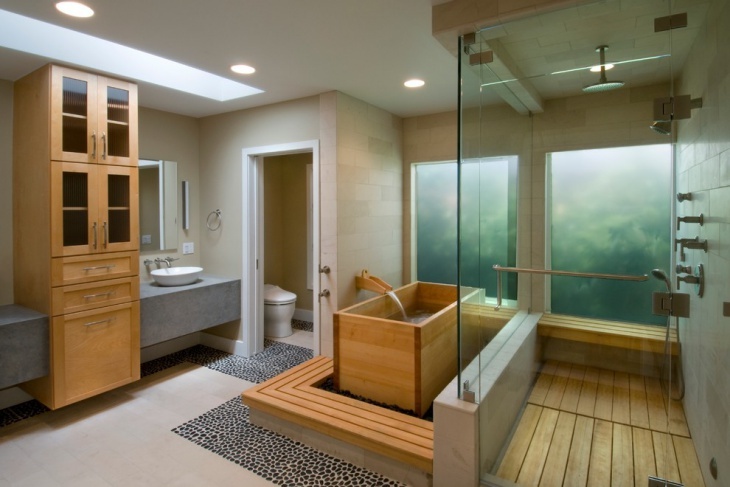 The following are some amazing bathroom ideas that will give your bathroom a true Zen feel and look. This uniquely designed Zen bathroom consists of beige colored flooring that goes very well with the wooden counter-top. 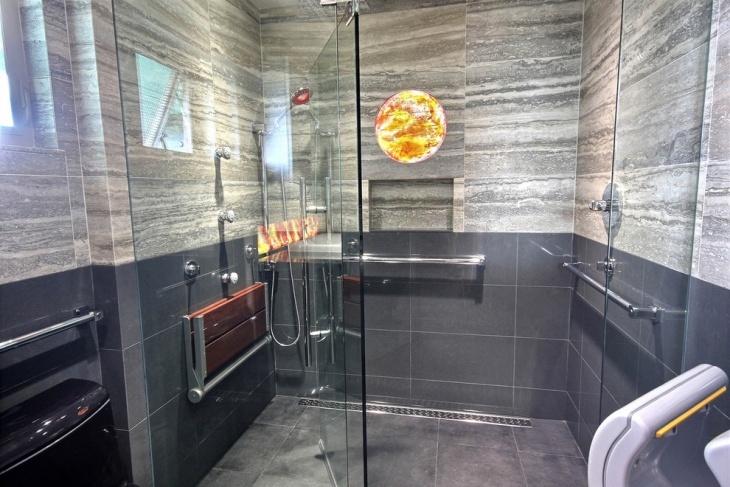 For the shower, a different type of granite flooring is used alongside a glass door. A teak bench in the corner of the shower area for sitting is also a very comfortable option. 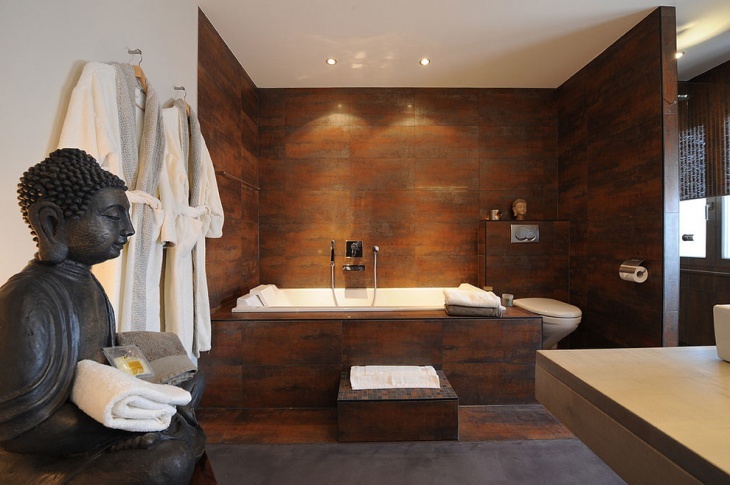 This elegant bathroom is adorned with all the wooden interiors including a beautiful wooden bathtub. The bathtub is a Japanese form of soaking tub which also looks like a highly comfortable one. The shower area has a matching teak wooden flooring and frosted glass door. This complete gray bathroom with granite roof is a contemporary form of bathroom and exudes sophistication in every corner. 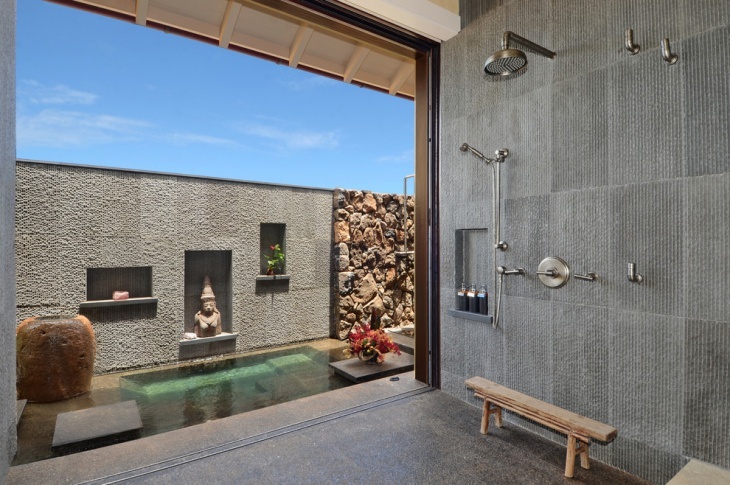 This is a Zen inspired bathroom that consists of a stainless steel bathtub and the flooring is a shiny gray color which is a special Indonesian Java limestone. This super large and spacious bathroom featuring hardwood floor is a highly contemporary form of bathroom. The bath space has the rustic tile wall located by the large windows. The walls are engraved with rectangular shapes wherein candles are kept, and a huge recliner just next to the bathtub is placed. 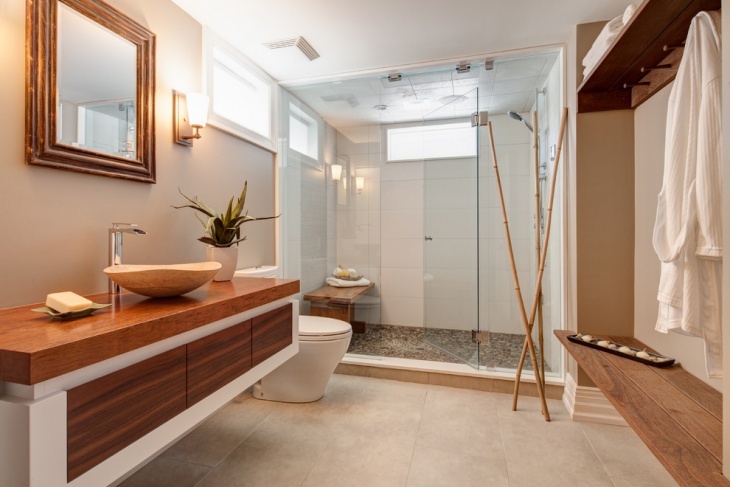 This modern bathroom looks more like a spa, the space is full of wooden interiors ranging from the doors to the countertop, and the shower area has a glass door with wooden walls inside and beautiful beige tiles that complement the overall look of this modern bathroom. This bathroom has charcoal gray stone walls with various pendants lights fixed in the ceiling, a very large open shower area that gives you a feel of showering outside. The cabinets, bath tub, the flooring and just about everything in this bathroom is elegant. 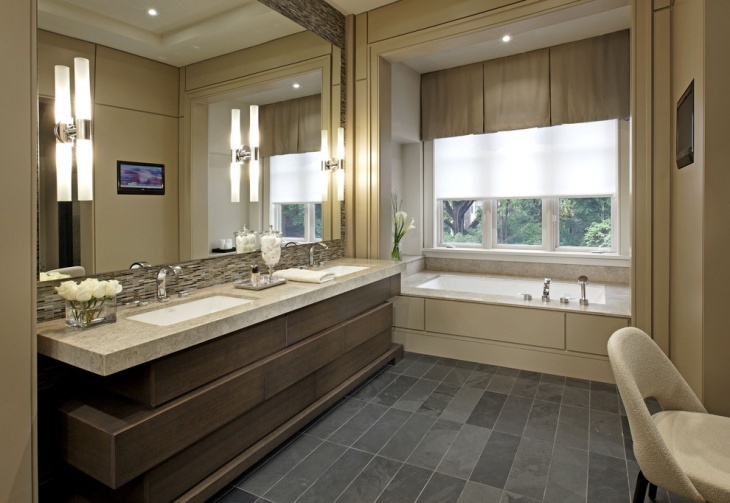 This luxurious bathroom design is highly unconventional and designed with grace. 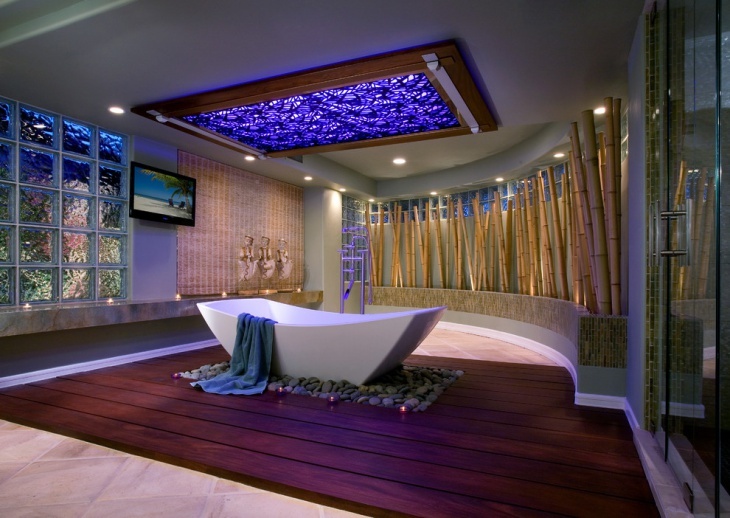 A large rectangular ceiling light is fixed in the top that changes colors, a large bathtub in the center of the bathroom with pebbles right below the tub and a small LCD screen right in front of the tub to sit back and relax. The bamboo wood flooring is a plus and complements well with the bamboo walls. 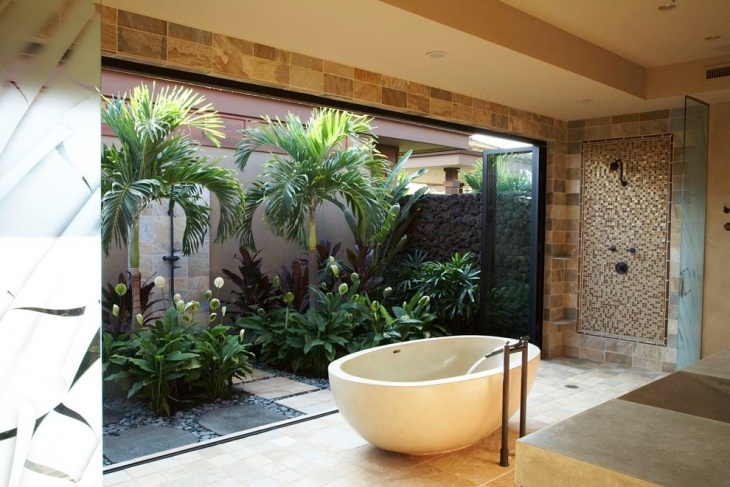 This awesome bathroom has a spa like feel and look and has a very large window and patio doors and a square shaped sink and a very classy contemporary faucet. The cherry wood vanity is a plus that enhances the look of this bathroom and is also great to store the bathroom essentials. 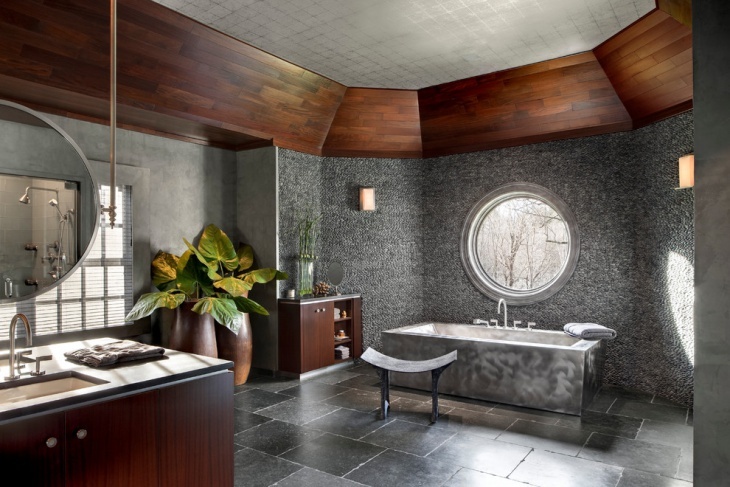 The black stone walls in this Zen bathroom is a dynamic one with wooden ceiling, a medium sized tub and large glass pane windows to see the view outside and the bamboo wooden flooring. This black and white Zen inspired bathroom is a very elegantly designed one. This ultra-lux lavish bathroom gives the real definition of a truly lavish bathroom, it has a special glass door for steam shower with granite backsplash and a large tub just next to the glass door. 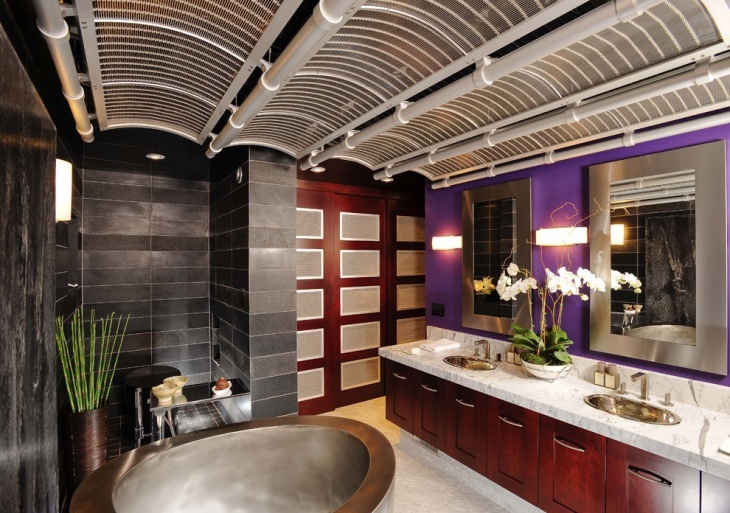 The focus lights of the ceiling create a very soothing ambiance in this contemporary bathroom. 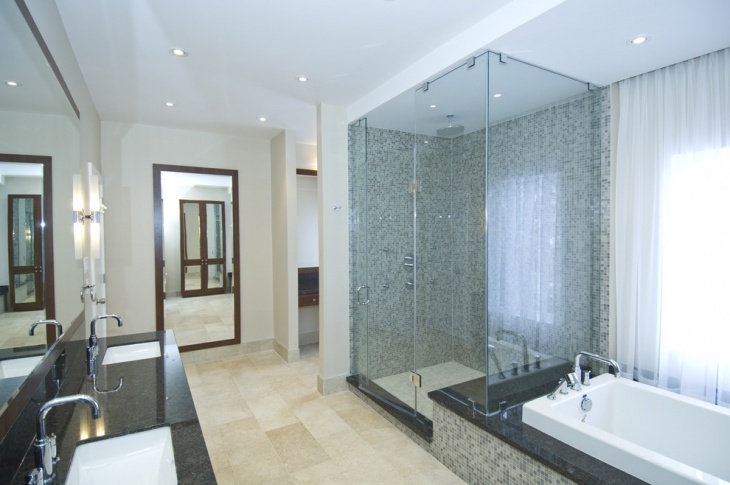 Today are a multiple options to choose from when it comes to designing a bathroom. From floor to ceiling and countertops to the cabinets, everything can be designed and chosen selectively as per your comfort and convenience, not sacrificing the looks of course. 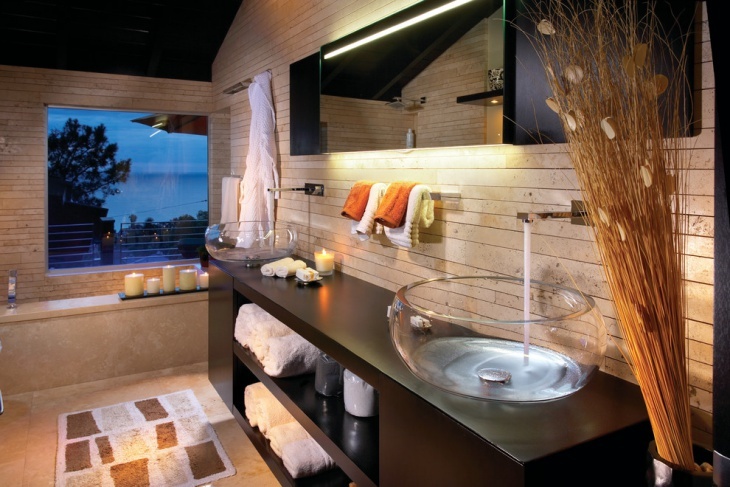 You could take inspiration from the above Zen bathroom designs for renovating or remodeling your bathroom.